Leah Chischilly, L.Ac., Has spent over a decade in the health and wellness arena, first as a certified yoga instructor and personal trainer. While she loved both, she knew something was missing. 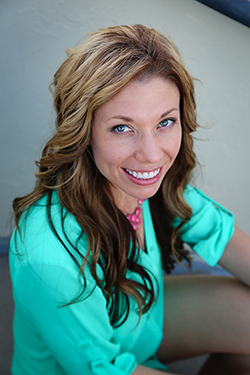 Her love of alternative medicine and nutrition led her to pursue an education in both. She completed a four-year Master’s program at the Phoenix Institute of Herbal Medicine and Acupuncture, and a year-long nutrition program through The Institute for Integrative Nutrition. She is currently part of the online faculty for nutrition programs at Southwest Institute of Healing Arts. Her approach to healing is not to fight against disease, but to support the body’s innate ability to heal itself. She loves blending the knowledge of East and West to help people feel their best. In her free-time she loves spending time with her husband Heath and baby boy Alex, cooking, working out, doing yoga and enjoying the beautiful Arizona sunshine.